Justin Timberlake’s reunion with ‘N Sync was the worst kept secret of the MTV VMAs, but it certainly didn’t disappoint. Watch the video! It was a big night for J.T., who received the Michael Jackson Video Vanguard Award (the VMA equivalent of a lifetime achievement award), in addition to the reunion with J.C. Chasez, Lance Bass, Joey Fatone and Chris Kirkpatrick. The crowd went wild for the boy band's old “Bye Bye Bye” moves. Check it out! 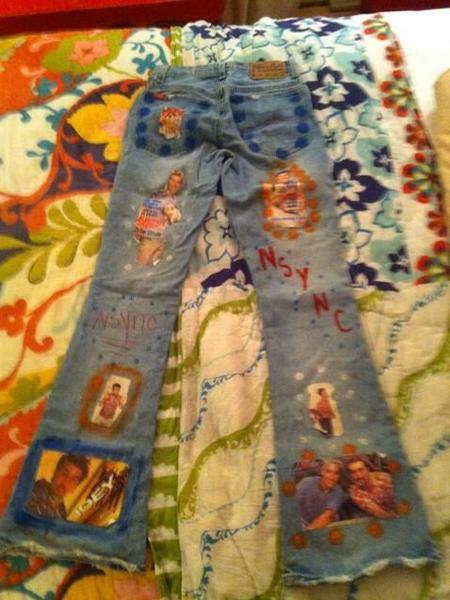 Model/actress Brooklyn Decker tweeted her own ‘N Sync superfan photo, writing, "NOW PRESENTING: MY HOMEMADE NSYNC JEANS. my dad just sent me a pic. The front is covered as well if u were wondering."